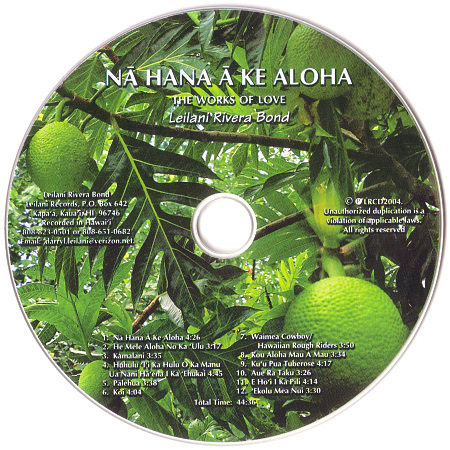 Na Hana A Ke Aloha by Leilani Rivera Bond is a collection of love songs. This is her third CD. 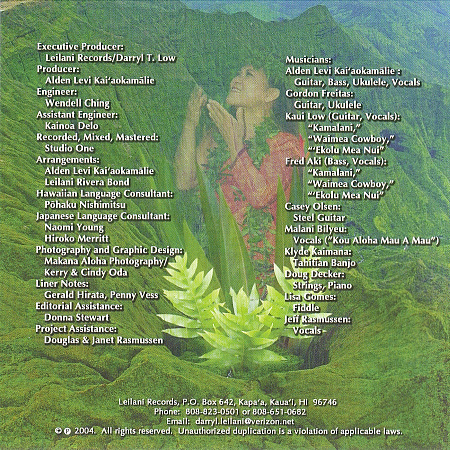 The daughter of the famous Kauai singer composer Larry Rivera. 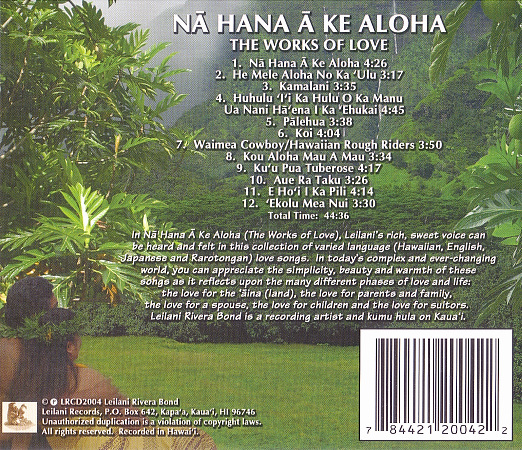 Leilani has been immersed in Hawaiian music her whole life. 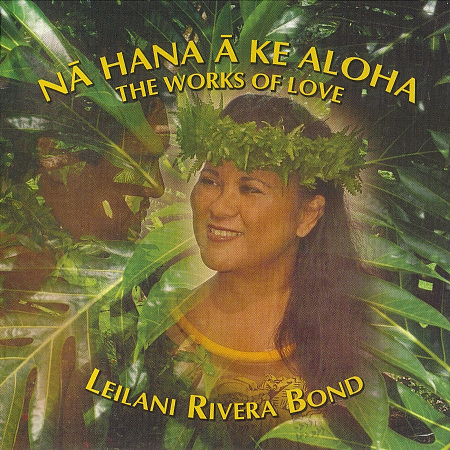 The beauty of Kauai flows through her voice as she sings these songs of love.